Amazon today announced that it will soon offer a slew of LG Android smartphones through its Amazon Prime Exclusives program. 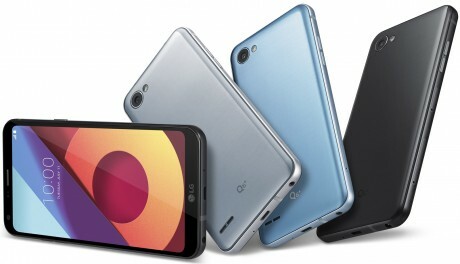 Among them is the LG Q6 (pictured), marking the first time this particular phone is being made available to U.S. consumers. The Q6, announced in July, features a 5.5-inch, 18:9 display with full HD+ resolution, curved aluminum frame, and minimized bezels. It runs Android 7.1 Nougat and includes Google Assistant and facial recognition for unlocking the phone. The main camera has a standard-angle 13-megapixel sensor and the front camera has a 100-degree, wide-angle 5-megapixel sensor. The Q6 is powered by a Snapdragon 435 processor and includes a 3,000mAh battery and NFC. The Q6 costs $300, but Amazon Prime members can buy it for $230 through Amazon Prime Exclusives. Handsets sold under the Prime Exclusives banner cost less because users agree to view advertisements on the lock screen. Amazon said the Q6 will become available in the coming months. Amazon is also slated to sell the LG G6 ($400), G6+ ($500), and X charge ($150), all of which have been for sale directly from carriers since earlier this year. All four phones are sold unlocked with support for AT&T and T-Mobile. LG's flagship handset for the year is the gorgeous G6. It's a beautiful handset that packs an a amazing amount of technology into its slim frame. LG's X power was a unique phone focused almost exclusively on having an unusually large battery. This year's update improves almost every spec, including battery size (naturally), screen size, camera resolution, and memory. The LG G6 is a strong offering from the Korean company that goes toe-to-toe with the best from Apple and Samsung. The G6 features a gorgeous design, the best materials, a waterproof chassis, and killer cameras. LG Q8, hopefully that gets offered in the US as well.